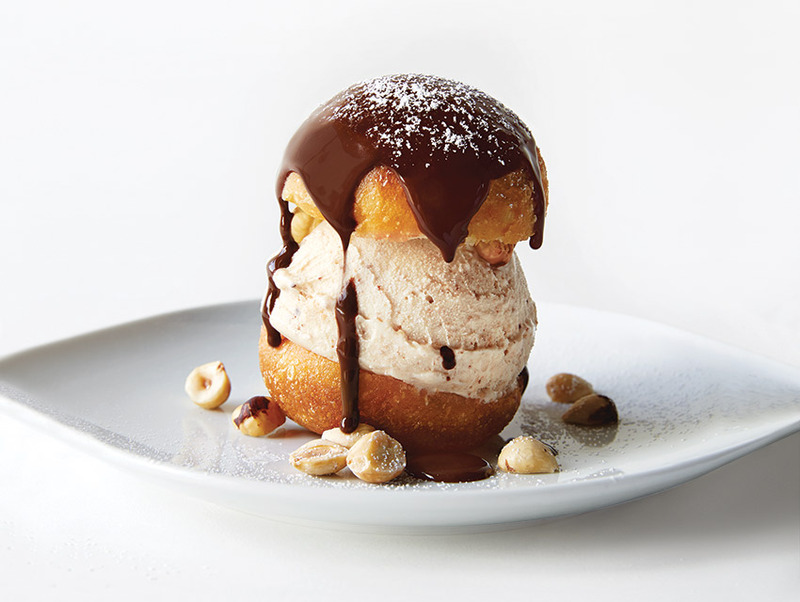 Republique’s warm brioche bomboloni with hazelnut gelato. The restaurants on this year’s top ten are a varied bunch. You won’t find a through line as simple as the tail-to-snout gospel of the recent past. Instead something elusive crystallized in 2014’s best kitchens—notions of craft and hospitality and how the remarkable is now wound around the contours of the everyday. Sure, we still love an elegant dining room where the porcelain is set down with a feathered touch, but the most fitting symbol for the year may be the counter-service café where they hand you a number: Excellence is assumed at all levels. Go ahead and take a seat.